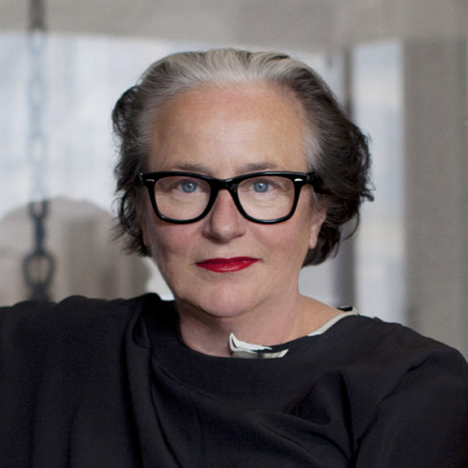 On March 1, Lidewij Edelkoort's interview published on DeZeen magazine went viral with a provocative headline 'Fashion Is Dead'. With such an absolute declaration coming from a renowned fashion forecaster, the interview has certainly garnered a lot of interest in the social media. In her interview, she described the fashion industry as "a ridiculous and pathetic parody of what it has been" and aimed fire at how the fashion industry has lost touch with what is going on in the world and what people want. "Fashion is insular and is placing itself outside society, which is a very dangerous step," she said in an interview with Dezeen after her presentation. Edelkoort listed a number of reasons for the crisis in fashion, starting with education, where young designers are taught to emulate the famous names. "We still educate our young people to become catwalk designers; unique individuals," she said, "whereas this society is now about exchange and the new economy and working together in teams and groups." Other issues affecting the industry include a loss of competence in textile design, the failure to address sweatshop conditions at clothing factories; and the cosy relationships between fashion houses and magazines and bloggers, which ties editorial coverage to advertising budgets. A new army of fashion bloggers who are dependent on endorsements from the industry means that intelligent critique has been replaced by shallow coverage by what Edelkoort called "the 'like' generation". "The new brands will never get editorial in the magazines because they don't buy advertising," she said. "And then marketing of course killed the whole thing," she added. "It's governed by greed and not by vision. There's no innovation any more because of that." Born in the Netherlands in 1950 and based in Paris, Edelkoort advises fashion companies and consumer brands around the world. In 2003, Time magazine named her one of the 25 most influential people in fashion. She was director of Design Academy Eindhoven from 1998 to 2008. Read the excerpt of her interview transcript with DeZeen magazine and share with us your thoughts...is fashion dead? Or has the industry lost its focus and capability in catalyzing new creatives? Marcus Fairs: You're saying that fashion is dead. What do you mean? Li Edelkoort: It doesn't exist any more. This is the end of a system called fashion and we will have to invent new ideas. For now I think we are going to concentrate on clothes; celebrate clothes. As a result we will see couture coming back, [versus creation] and in fact it's a sort of relief because many people are thinking it. Marcus Fairs: It's the death of fashion as we know it? Li Edelkoort: Yes it is. This is the end of fashion as we know it. Fashion with a big F is no longer there. And maybe it's not a problem; maybe it's actually a good moment to rethink. Actually the comeback of couture, which I'm predicting, could bring us a host of new ideas of how to handle the idea of clothes. And maybe from these ashes another system will be born. And for now, when people see a nice table or a nice plate, they say, "Ah, how fashion!" So fashion has become a way to say "cool". And it's no longer addressing clothes. Marcus Fairs: What are the reasons for that? Li Edelkoort: It starts with education, where we still educate our young people to become catwalk designers; unique individuals, whereas this society is now about exchange and the new economy and working together in teams and groups, which happens in every other discipline, yet not in fashion. Fashion education should be, amongst other things, the industrial design of fashion; fashion as highly industrial design. It's meant to be serial, meant to be all the same; proud to be all the same. People like to be the same because you like to be part of a tribe and then your hair, your tattoo is going to say who you are and no longer your clothes. Fashion is insular and is placing itself outside society, which is a very dangerous step. So the education needs to be reviewed. Then there is a problem with textile; people don't know anything any more about textiles. Providing textiles becomes impossible. So we are speaking here of endangered species. Then there is the making of, which is done in countries where people are killed for making our garments. Then the designers themselves are all proclaiming that they are no longer doing fashion but are doing clothes, clothes, clothes. So everybody for several reasons is concentrating on clothes. And then marketing of course killed the whole thing. It's governed by greed and not by vision. There's no innovation any more because of that. Fashion shows are becoming ridiculous; 12 minutes long. 45 minutes driving, 25 minutes waiting. Nobody watches them any more. The editors are just on their phones; nobody gets carried away by it. Marcus Fairs: So is fashion dead or has it just become a ridiculous parody of itself? Li Edelkoort: It's a ridiculous and pathetic parody of what it has been. I know because I've seen fashion shows of Thierry Mugler which would have 65, 75 models for three quarters of an hour. We would be on our chairs, shouting with tears in our eyes and the whole place would go crazy. Check Thierry Mugler's old fashion shows online. You see the difference. It moved us. It's not like sort of fashion TV, back and forth. Marcus Fairs: You said in your talk that fashion used to predict the future but doesn't now. Has it lost touch with what's going on in society? Li Edelkoort: Completely. Whereas clothes are in touch. They know they need to be printed T-shirts; they know they need to be nice new shirts; they know that they want to be short; to be casual. So the garments no, but fashion doesn't seem to be in touch any more. Marcus Fairs: You talk about the return of couture. You mean expensive handmade clothes for the wealthy? Li Edelkoort: Yeah, but they will influence all other creations and we might see the comeback of the selling of patterns of material to retailers. So we would make authorised copies of couture. So you would make an authorised Dior copy in an African fabric.